Santrauka: Recognized by many as the authoritative source of how-to and reference information for students and beginning professionals, Architectural Drafting & Design, 4th Edition - available in full-color for the very first time - details step-by-step methods for the design and layout of each type of drawing required for a complete set of architectural plans. To enable you to make optimal use of one of today's popular design tools - AutoCAD 2000 - this comprehensive handbook also contains a "try & die" copy of the AutoCAD 2000 software and .dwg files of selected plans in the book, supplemented by expanded coverage of CADD and freehand sketching techniques. 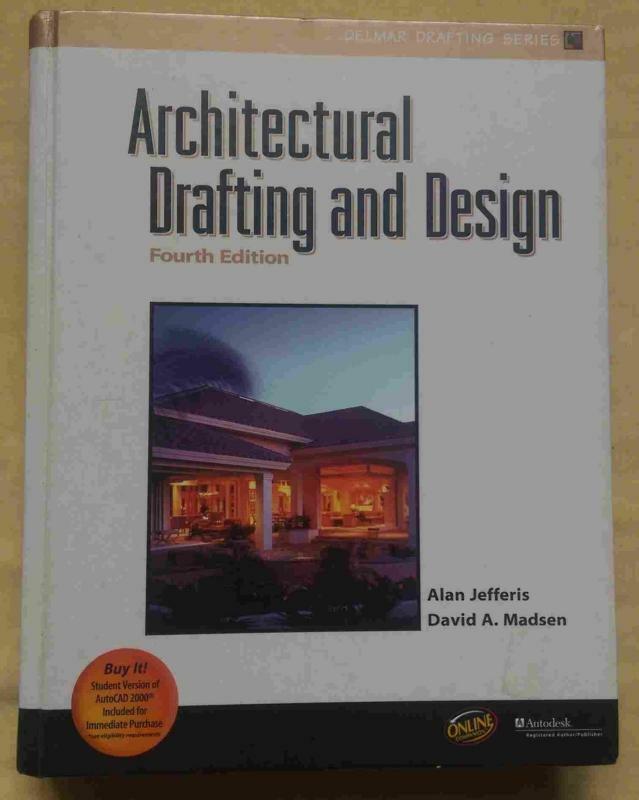 As they work through Architectural Drafting & Design, 4th Edition, readers are challenged to think through and solve numerous design problems while adhering to the latest International Building Code; meeting requirements of the Americans with Disabilities Act; taking into account the latest NDS wood design standards; and considering the growing popularity of engineered lumber and steel construction.